Whether I’m cooking dinner, playing checkers with my kindergartner, or reading a story to my preschooler, there are moments throughout the day when I really would like my toddler to play by himself for short periods of time. He’s actually very independent generally speaking, but the times when I most need him to be independent are the times when he vocally and unequivocally demands my attention. Here are some quick and easy activities for toddlers I’ve put together for my 15 month old in the past couple weeks. They may not be pretty and pinnable, but they are fun and inexpensive. All of these activities were put together with material I already had lying around the house. 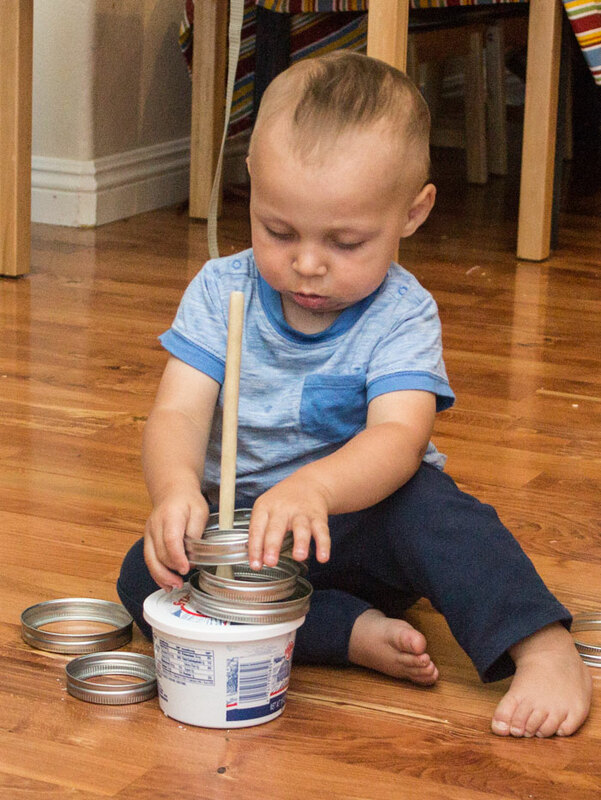 Like my homemade ball can, these activities all gave my toddler practice with his fine motor control. If you’d like more suggestions for fun activities and learning ideas in the future, please consider subscribing to my newsletter. This idea comes directly from The Toddler’s Busy Book (click for my full review). This book has so many great ideas. Toddlers love a challenge. The dexterity required to put a skinny object like a clothespin through the opening of a milk jug provides just the right level of difficulty to be enticing. 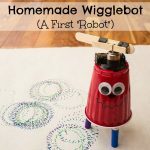 A simple homemade ring toss is another idea inspired by The Toddler’s Busy Book. My toddler found something about all those canning rings clanging together extremely appealing. I spread the rings out near our kitchen and he pitter pattered around collecting them one at a time and putting them on the pole. Fill the plastic container with play dough. It should probably be filled at least half way, but it doesn’t need to be all the way filled. Cut a little “x” in the center of the plastic lid. Stick the handle of the wooden spoon through the lid and push the spoon end into the play dough. Put the lid back onto the container. Next give your child some canning rings and show them how to put the rings onto the handle. Given how much my toddler likes to put small objects through openings, I decided to make him a box with a bunch of holes in it to stick unsharpened pencils into. I can’t believe how much he likes this new “toy.” It’s been a few days now and he keeps coming back to it. Since the holes are just barely big enough for the pencils to fit through, this is also probably the most challenging idea of the five on this list. To me, he seems good at getting the pencils into the holes, but he must not think he’s quite mastered it yet, because he keeps coming back to it on his own to spend time practicing. Cut the 2 inside flaps of the lid off, then hole punch various holes around the rim of the 2 remaining flaps. Tape the box shut being sure not to cover up the wholes. Put unsharpened pencils into many or all of the holes. For each hole, you’ll want to wiggle the pencil around to make the hole a little bigger so the pencil can easily slide in and out. 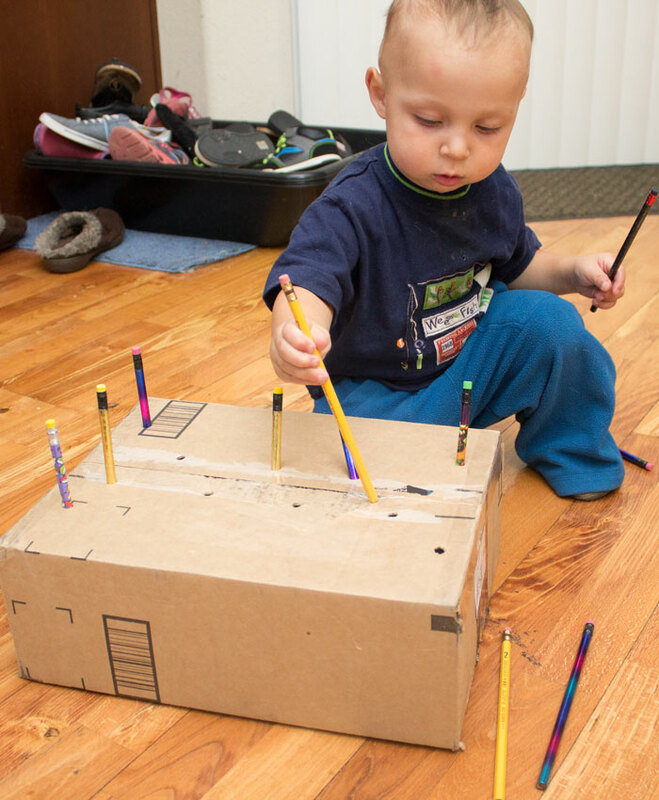 Show your toddler how to take the pencils out and put them back in. Babies and toddlers love cause and effect. I think they are a little power-hungry. 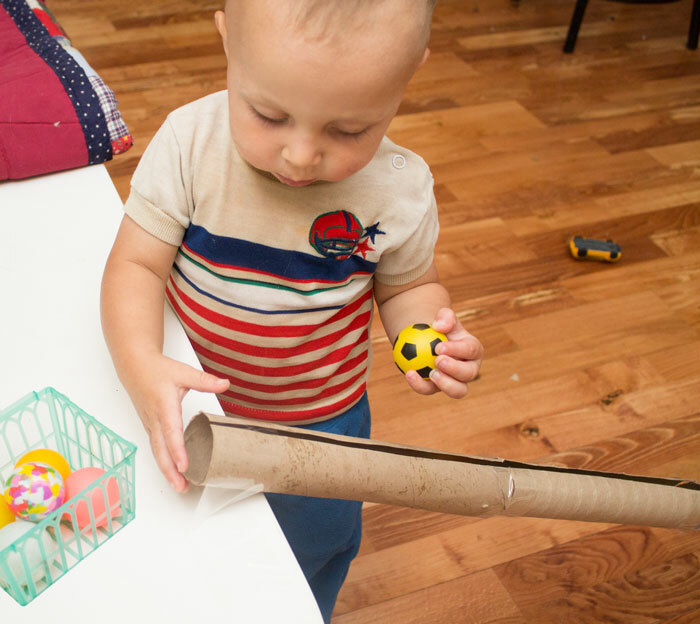 All I did was tape together a bunch of paper towel rolls, then give my toddler a basket of ping pong balls. He puts the balls in one end and watches them come out and roll away the other end. (Then goes squealing after them.) 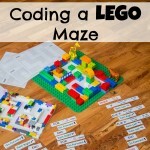 ALL of my kids actually loved this activity. I kept having to tell the 3 and 5 year olds to give the baby a chance. Tape together several paper towel rolls. The ping pong balls do fit through, but they frequently get stuck if the tube is not perfectly round and the joints precisely lined up. Therefore, we cut a slit through the whole top of the tube. 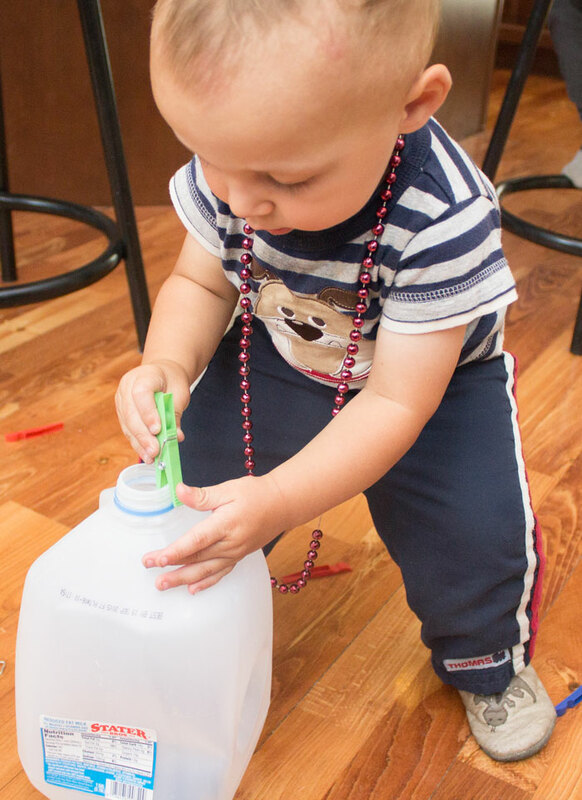 Tape the tube to some elevated surface that a toddler can reach, like a chair or bench. Show the toddler how to stick the ping pong balls into the top hole and watch them travel through the tube and come out the other end. Floral foam is too much fun. 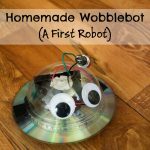 I actually made this activity for my bigger kids so they could make some “sculptures”. I gave them each a block of floral foam and various supplies they could poke into it, like straws and popsicle sticks. After they were done, we displayed their artwork for awhile, but eventually I was going to throw them away. Instead, I decided to just take everything apart and stick the supplies in a big Ziploc bag. My bigger kids don’t like reusing their floral foam with all the marks already in it, but my toddler is not so picky. He loves doing this “big kid” activity too with the left over material. Cost: The cost of a block of floral foam. I cut mine into pieces so more kids can use it. 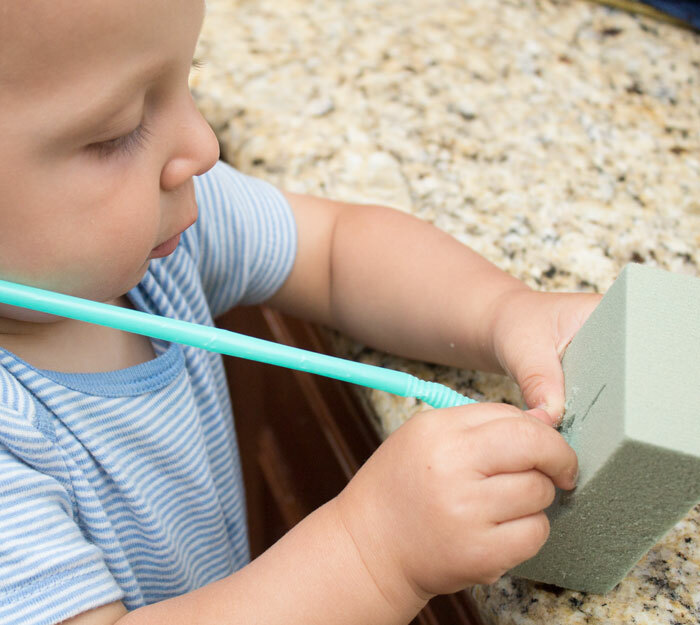 Give your toddler a block of floral foam and some supplies to stick into it and watch them hard at work. These are all great ideas! It can be so hard to cook dinner with a toddler underfoot! So true. It’s funny how sometimes the “fake” toys get more use than the real ones! Definitely! If you have toddler guests, it’s also a pretty sure bet to give them some Tupperware and kitchen utensils. Some of my friends don’t have toddlers any more, just older kids, so whenever we come over, they get out things like plastic cups and measuring spoons and my youngest is pretty happy. Whenever one friend gives him full access to a child-safe kitchen cabinet to explore, he’s in heaven!